Right after CHA-S I emailed photos of my studio490 projects to Jackie. She's the chick who puts them on the Stampers Anonymous website. THANK YOU JACKIE!! Anyway, I got an email from Dana, who loved the idea of clicking on a stamp & getting a photo showing something made with that stamp. It sure makes things very easy and saves time too. Here's a mini canvas one............loaded with stuff. Actually what she said was seeing examples made her buy more...just because she got free ideas. REALLY??? Who would have thought?? ha! 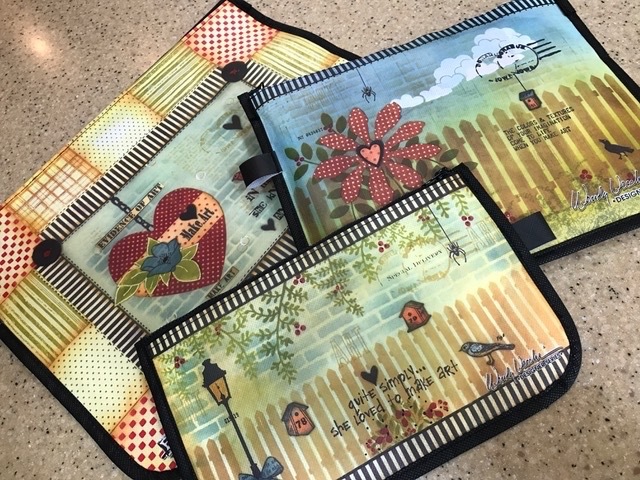 Check it out on the Stampers Anonymous site...here. The samples are all in the 8.3 summer supplement. So when tim said he was doing metallic crack...I was counting the days 'til I got my samples. I couldn't stand it...yesterday I took a little break & played with them. Here's the brushed pewter...on a Maya Road chipboard flower. This is plain...with no extra color rubbed into the cracks. There's also antique bronze. Another cool color. Sorry...no photo. Since "going green" is so popular these days....I wanted to repurpose/redo an older product that I was tired of. I had these huge brads...I had used them as is...I stamped on them before & now it was time for something different. Hmmm...the brad was smooth... what could I do? I applied a coat on the brad (I used the matte)...then let it sit & dry. When it dried, I painted a medium coat of crackle paint on & waited to see if the magic would happen. The MULTI-MEDIUM is the PERFECT solution for adding tooth to a smooth surface. rubbed it really hard...NOPE...it's on there rock solid. Now I like these brads again. I am quickly becoming addicted to the matte multi-medium. I find that it's great for adhering heavy metal pieces in a collage. Now...what else could I do with the paint?? How about a dose on a manilla tag? My other thought is to paint it on a manilla tag & then use punches or that wonderful Cuttlebug/Big Shot to make some fun metallic embellishments. There's even more...but I can't show that just yet. I sent a project to Ranger for their site. When it's up...I'll be sure to share! This technique adds another product to the mix and totally gives the paint another very cool look. HOWEVER...I don't want everything I make to look the same. Then my brain turned on...YIPPEE! How about the SILVER MIXATIVE?? Would that work the same??? And...here's the little beauty stamped (screen stamp studio490, page 12 of the supplement) with Ranger's black pigment ink...heat dried and then I bent the petals. Take a closer look...Perfect coverage...and the bending does not affect the silver. It doesn't flake off. How about some PEARL MIXATIVE??? I applied just a tiny bit, to create a mottled sort of look. I didn't want it completely covered...I like this look.... I think I'll add some new DISTRESS STICKLES...just as soon as my order arrives. Just a little on the ends of the petals ...I think that will be cool. 1. I always work on my Ranger Craft sheet when using Alcohol Inks...actually...who am I kidding?? I can not work without that craft sheet any day. It's always out & ready to be used. 3. I completely covered the flower with just 2 drops of the silver mixative. (SHAKE before using). A little goes a long way. If you mix it with the alcohol inks...use just ONE drop. Take it from me...ONE DROP! A few drops of Alcohol blending solution on a paper towel will completely remove all the ink. You are left with the original flower...in perfect condition & it's all ready to be inked again. Another use for the blending solution?? It's THE PERFECT cleaner for the craft sheet. A few drops on a paper towel...swipe...nice & clean! Cheryl Kuba brought this to our class last Saturday @ Scrapbook Friend'z. SHOW & TELL is fun! Cheryl's friend said she needed a place to store special cards. So...Cheryl started with a generic photo box & created this great gift box for her. She used grungeboard, colored it with distress inks, & made it dimensional. 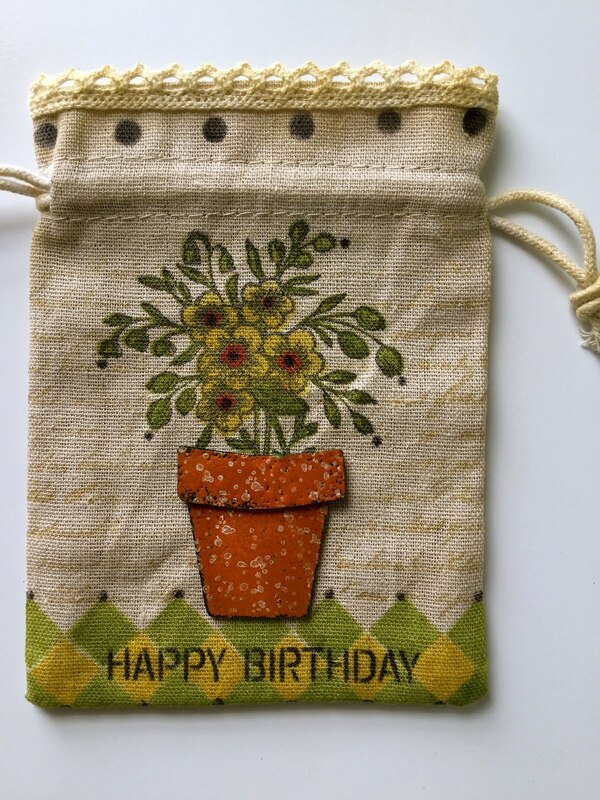 She chose stamps from studio490 & Stampers Anonymous/tim & a tim idea-ology key too. It's hard to believe...but it's actually even cooler in person. Cheryl...THANKS for sharing you art & showing what you learned in the classes. 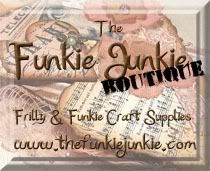 So...if you are ready to get going on your handmade Christmas gifts...here's a tip to get you started. I sent out 3 kits on Wednesday as a test of the postal system & to check their cost. $6.00 got the kits shipped with delivery confirmation to 3 different states. So...this is just in the thinking stage...but let me know if this is something you'd like. Each would come with complete instructions, just like my store classes. I would included a color copy of the project too. Most likely these kits would just ship in the US. Tomorrow is another class @ Scrapadoodle in Peoria, Illinois. We'll be creating the Make it Merry Holiday Hanging. It's a fun, inky, stamping, grungy class. Hope to see you there. THANK YOU from both Cate & I for the comments. We sincerely appreciate it. THANKS from Rick & I too, for the sweet congrats posts, emails & we even got a CUSTOM SINGING video from Paper Patti. That was just toooooo cute! Rick thinks she should dump Ranger & take her act on the road!! THANKS PATTI! Rick was happy that there were no comments about how DORKY we looked! Oh well...we sure thought we were pretty stylish 36 years ago... I thought the photo would be worth a laugh. My question is what is your idea of a self portrait? What would be the first step to do a self portrait? My idea of a self-portrait is a visual representation of who you are. There are many exercises in the book that help you get to know yourself. One involves looking around the room you spend the most time in, or even your whole house, as an objective observer or detective to see "who lives here." And then you put together a self-portrait based on that. For a more "realistic" self-portrait, you can start by tracing your image from the mirror onto a transparency and then "coloring it in." Or, you can take pictures of yourself in different situations, or take pictures of different body parts. I guess my idea of a self-portrait is something that has no rules because it doesn't have to be for anyone else, just you. Once you get started, though, it's hard to stop! Now, here is my question for Cate. How does one go about doing a self-portrait and/or altered page about some very painful issues?? Are there any techniques you use to try and 'work through' the process so you know what kind of page you want to create?? When you've got so much to get out...how do you get it all out and onto paper??? Creating a self-portrait, or a series of self-portraits, is an excellent way to work through painful issues and experiences in your life. In fact, several of the artists in Mixed-Media Self-Portraits address this issues, and we even include some art therapy websites to use as resources. 1. Take a picture of yourself from now or from the painful period of time and alter it (you may want to make a copy first) using digital or mixed-media techniques, to show how you feel about that time in your life. Color it red for rage or doodle on it with words that express your sadness or confusion. Alter it to show how you wish you might have been at that time. 2. Make a self-portrait in the style of a collaged journal page. If this is just for you, tear out images from magazines, or incorporate your own photos and drawings. Write out your feelings using markers in colors that represent your emotions. Don't think about making a masterpiece--it's the process that heals. 3. Paint, draw, color with crayons or use any other favorite medium to make a series of pictures of yourself, varying each one. This is an exercise--don't strive for perfection or visual accuracy. Just think about an incident or an emotion and draw yourself in that state. How do your eyes look? Your mouth? Your hair. Finish each one quickly (5-10 minutes) and then move on to the next one, using a different moment or feeling as the inspiration. Repeat until you feel you have put all of your feelings out on paper. You might want to come back in a day to see what you've done, or you might want to keep moving right then. Look at all of your quick portraits and take the parts of them that speak to your pain and put them together, either by copying aspects of what you've already done or tearing up the quick portraits and collaging the "best" pieces together into one portrait. THANKS CATE!!! This is wonderful info. Annette...please send me your address & I'll get it sent to Cate! THANKS to ALL who took the time to read & comment. Congrats again to CATE and thanks so much for the giveaway! CHEERS! Here's to continued SUCCESSS! A blast from the past & meet NATALIE!! 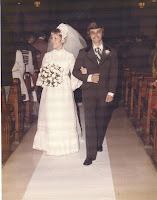 I can hear those calculators going...I'll save you the time...I was only 10 when we wed! ha! Believe it? THANKS for a GREAT 36. Let's keep going for another 36! When I was in Texas, I had THE CUTEST gal in my class. I talked about her before, but I thought you'd like to meet Natalie. She sent me these photos yesterday, so I thought I'd share them here. Not only is she A REAL cute arty gal, but she's got GREAT taste too. She chose a Stampers Anonymous stamp. THANKS for sending the photos Natalie! And a reminder...leave a comment on yesterday's post & be entered to win a *signed* copy of Mixed Media self portraits, by Cate Prato. I'll be posting the winner tomorrow. I met Cate Prato when we worked on the current issue of "studios". She's an editor for Cloth Paper Scissors. Anyway...Cate has published her first book & I got us a free copy. Pretty cool!! All you need to do is leave a comment to be entered into the drawing. I'll be back on Wednesday morning to announce the winner. Enter your own comment & pass the word to your friends too. I LOVE free stuff!!!!!!!!!!!!!! And...sharing is good! This book is loaded with great photos and a ton of helpful tips & hints to get you going. I've not done the "self portrait" thing yet...but like Cate says...you don't have to show anyone...make it just for you! I like that! 1. Why the emphasis on self portraits? 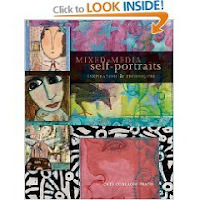 Artists have made self-portraits since the beginning of time, but recently two events prompted us to do this book. First, in 2005 Quilting Arts Magazine, for which I’m the features editor, hosted a reader challenge based on an article on creative self-portraits by Yvonne Porcella. It was phenomenally successful. We got hundreds of wonderful art quilts—funny, poignant, thought-provoking. More recently, the rise in blogging in the art community gave birth to the Self-Portrait Challenge (SPC) online, with artists around the world making photographic self-portraits based on a different theme every week. Also phenomenally successful. So, at Cloth Paper Scissors, Quilting Arts’ sister publication, we decided to put our own mixed-media spin on it in a book. 2. What's your favorite exercise to get the creative juices flowing? Well, probably because I’m a writer, I like the exercise in the book where you take just a few minutes to jot down your life story, then highlight the most important moments and themes and base a self-portrait on that. Conceptually, I like it first because it takes you out of the idea of a "physical" self-portrait and focuses on some of the events that made you who you are. Second, I think when you do an exercise like this where you are forced to think quickly, things pop up that might surprise you. For example, Elin Waterston, who did this exercise for the book, made fabric postcards based on the numbers from her previous addresses and the patterns of her father’s shirts. 3. I know you frequent flea markets. Tell us what you look for. The triumvirate is buttons, china/glassware, and linens. I love anything with that cornflower/periwinkle blue color and faded cherry red. And Nile green. When I’m at a flea market or yard sale, my eyes just scan for those colors and textures, like a reconnaissance robot on a seek-and-acquire mission. 4. What's your very favorite flea market FIND? Will you actually USE it or hoard it? Oh, my favorite find is usually the most recent one—or the next one! I have to say one of my favorites is the typewriter I used for my self-portrait in the book. It’s a turquoise Smith-Corona portable I picked up for $5 about a year ago. I had one just like it as a teenager. The flea market where I got it was in a parking lot and we had actually gotten into the car, the kids were strapped in, and that’s when I spied it. I said, I have to look at that; the kids just shook their heads and rolled their eyes. I hopped out and when they said it was five bucks I did a little happy dance inside. When it came time to do my own self-portrait for the book, I said, "I’m going to alter that typewriter." I like to use things, especially my linens. I get great buys because I buy the imperfect ones with a couple of stains or a small hole, and then I don’t fret about using them and enjoying them. In fact, the only ones I regret are the perfect ones, because I’m afraid to use and "ruin" them. 5. What advice would you give to anyone who feels self-conscious about making a self-portrait? Buy the book! Seriously, we address that issue in the book from many angles—essays, exercises, tips for getting started. As I said before, nearly all artists do self-portraits of one kind or another. Self-portraits can help your art and your life; they can be just for fun or as part of a healing and growing process. You don’t have to show anyone. It can be just for you. Thanks for donating the book CATE!!!!!!!!!!!!!! I'm sure some lucky blog friend will be happy to give it a good home! CHEERS!! Here's to continued SUCCESS! Last Thursday I got to visit with Cheryl & Megan @ Tenseconds. I got this really cool alphabet mold & the new 40 gauge metal in BLACK! I ran the cardstock (Cuttlebug embossing folder) & the metal ( tenseconds mold) thru the Big Shot........and made this on my break. TOTALLY fun & oh sooooooo simple. After I sanded the metal, I applied Ranger's cranberry alcohol ink...It looks better in person...this is NOT a good photo. The chipboard scrolly thing was spritzed with Maya Mist, in silver. There's no sun here, so you can't see the slight shimmer...but I assure you, it's really cool. So, if I didn't LOVE the Cuttlebug/Big Shot before...I REALLY LOVE it now. It's so quick & easy to make metal embellishments. Try it!!!!!! Cheryl made a GREAT CD with LOADS of info & sayings, words & alphabets. There's a gallery included too. Can't take a class...get the CD and start playing. Next...a reminder about Maya Road's "Home for the Holidays" contest. You gotta enter to win. Get going!! If any blog friends win...I'll send them an extra goodie package as a THANK YOU for being a blog reader. And...come back Monday for a VERY SPECIAL giveaway. Here's a little hint...cool huh?? I sent Cate some questions...we'll hear what she has to say...stay tuned! And a little teaser.............I got to play...Ranger sent samples of the new METALLIC CRACKLE PAINTS. OMG!!!!!!!!!!!!! These are totally awesome. Plus...I did something a little different...a fun technique, that combines products. Be watching for them @ your LSS. Antique bronze...brushed pewter...tarnished brass...Take it from me...You'll NEED all 3 of these guys. REALLY fun play! Have a great weekend. I'll be with my friends @ Scrapbook Friend'z in Bloomington, Illinois...we'll be creating the Make it Merry holiday hanging. We'll combine chipboard, grungeboard, ink & tons of stamps from...studio490. It's never too early to start on Christmas gifts & home decor. 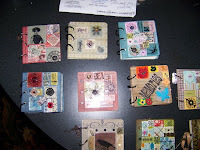 Since I received lots of photos via email, I thought I'd share more of the art created in the "use your scraps" journal class. This was made by Annette...She said her dad is an optometrist...so she loves eye stuff. Gotta have energy to create! That's it for today...got LOTS of embossing to do for some kits...then get the kits ready to ship to Boston. I hope you found these photos to be inspiring.........use them as a starting point & try the fragments...They're fun! What a weekend in Waxahachie! Oh...and a winner or 2! The weekend started on Thursday when I arrived in Dallas. David, Caroline's hubby picked me up @ the airport, then we headed to their home. Caroline & Jessica were already there (Jessica arrived @ a different airport)...and get this...Caroline showed us some new Maya Road products that will be released @ CHA this winter!!! Nope...I can not be bribed...my lips are sealed...but just you wait. WAYYYYYYYYYYYYYY cool stuff is coming. You won't be disappointed. Then we headed over to TEN SECONDS to visit with Cheryl & Megan...oh and to do just a little shopping. If you are looking for entertainment, go to their site & check out the TACO TUESDAY videos. They are much more fun than anything on tv. They will make you laugh & learn all @ once. Cheryl & Megan are a hoot......Megan is a wild child! Then on Friday we saw this little bit of heaven........the Maya Road warehouse. OMG!!!!!!!!! The weekend @ Craft Scrapper started with a fun birthday celebration on Friday evening. Carolyn, Annette & Caroline all have October birthdays. They said these cakes were all LOW CAL...I believed them! There was so much interest in this class that we did it twice. So about 60 gals left with their completed tag sets & some very inky fingers. And here's the evidence........Sweet Annette & Sherri...all inky. 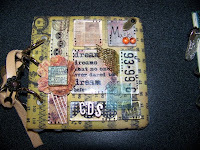 One of the classes that Carolyn chose for her customers was the "Use your scraps" journal class. In this class each person brings their leftovers and we create a journal that can actually be used. Since the FRAGMENTS are small, it takes just a bit of rubons, paper & trinkets to make art. What is totally amazing it that each person starts with the same Maya Road chipboard covers and the same fragments...but each journal is unique to the person who created it. Here's Cheryl & Christi...hmmmm...what's that comment about a GLOCK?? And here's the Crafty Scrapper crew who all worked very hard to make this THE PERFECT WEEKEND! And...guess what?? But the highlight of the weekend was meeting NATALIE. 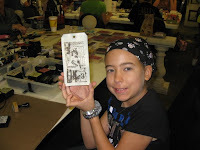 Natalie's grandmother took the first Ranger distress ink class & she showed the tags to Natalie. So, on Sunday Natalie took the second Ranger ink class. What's so special about that you ask??? Natalie is 11 years old! She has been thru more in her life than any adult can even imagine...but she is still smiling and sooooo very sweet. Oh...and she's soooooooooo cute too! She followed the techniques exactly & it's quite obvious that she is one very talented little stamper. NATALIE...YOU ARE A LITTLE DOLL! Thanks for coming!! I could go on & on...so I think I will...tomorrow. I'll be back with more photos. THANKS TO ALL who posted organizing comments. This is so cool. One idea leads to another and we all get some really great tips. LOTSA SCRAP!!! CONGRATS to you!!! Here's my organization idea for today. Yesterday I went to an auction and bought a record cabinet, small--just 3 sides, no doors on the front. But it does have a shelf on top and 4 slats to hold 33 rpm records. I'm going to store all of my 12 x 12 paper in it. Right now the paper is in hard plastic sleeves on a bookcase. When I transfer those over to the record cabinet, I'll have more room on the bookcase to reorganize other stuff. I got the cabinet for $7 which is a lot less than what I paid for the plastic sleeves! 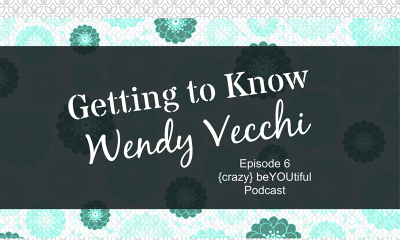 Wendy, thanks for posing the question. I've enjoyed reading everyone's tips and getting motivated to reorganize. So ...HOBBEMOM & LOTSA SCRAP...please send me your address & I'll get your packages mailed this week. THANKS to everyone from Crafty Scrapper for making this the perfect weekend! One thing that seems to be a hot topic these days is organizing. 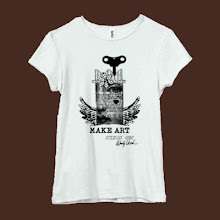 We all love to collect STUFF for this art we make. The more the better is the motto here...but I have to have it contained & organized. I can not create in a mess. So... let's share our best organizing tips. YOU share & I'll share too. 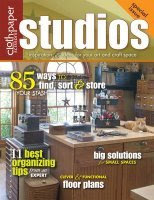 Post a comment...leave a tip...and be entered to win a copy of studios. One comment per day = more chances to win. I'll send some art supplies and a copy of this special issue to the lucky winner. I'll go first! I'm addicted to plastic containers. Here's a button drawer, using some containers from Hobby Lobby. Just open the drawer ...then select the perfect button. Quick & simple. PERFECT for my vintage buttons. It's out for easy access...but the contents are hiden & neat. This is a new studio addition. Recently I decided I like rhinestones...not big ones...the smaller the better. This little cutie holds a boatload in a very small space. I found it @ Archiver's...it's made by Plano Moulding, which happens to be 45 minutes from me. Hmmmmmm...I wonder if they have an outlet store. I think I better check that out! I'm all packed & ready for the art chicks in Waxahachie Texas. 3 boxes have arrived @ the store. I've been waiting for this weekend for a LONGGGGG time. It's finally here. I'm headed there tomorrow. ...using my favorites...House & felt flower by Maya Road, Ranger's Crackle paint & distress inks, tim's hitch fastener & grungeboard and some Stampers Anonymous/studio490 stamps. It's kind of early...but have a GREAT weekend. Maya Road is sponsoring a wonderful HOME FOR THE HOLIDAYS contest. Not only do entries have a chance to win $250 of Maya Road product...but for each entry, Maya Road will contribute $5 to Habitat for Humanity. Pretty cool. Now here's a little twist...If any of the winners are studio 490 blog readers and friends...you'll get an extra GOODIE package from me. Check out the rules of the "road" here. Kate, from Absolutely Everything in Topsfield, Ma, requested a holiday decor item as one of the classes for her customers. I'll be there again on Nov 1 & 2. Totally dimensional...totally fun. This is a piece that you'll be happy to bring out every year. Or...if you need a gift... How about a cube?? Don't miss out. Sign ups will be starting soon. We'll also be making another new project. A Maya Road mini book that's so loaded with embellishments that it won't close. The other 2 classes use lots of grungeboard. We'll make a holiday hanging & a wreathe. Should be a very fun inky weekend. I've gotten a ton of emails about STUDIOS. THANK YOU so much! And for those of you who asked...YES...the drawers are full. YIKES!! Stamps, chipboard, embellishments and lots of fun vintage type stuff that I've collected. I'll open some drawers & show more in a future post. What does the rest of your house look like? 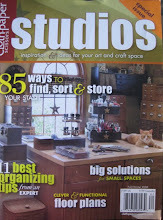 For those of you still looking for the STUDIOS issue....... it's @ JoAnn's and Barnes & Noble for sure. Another comment...I may have to call my lawyer... GEEZ! APPLEBEE'S has discontinued my most favorite Mac & Cheese. How dare they?? What were they thinking? That's why we go there..MAC & CHEESE! I could eat noodles 3 meals a day. The cute waitress said she had lots of disappointed customers. So.........in my spare time, I think I'll launch an attempt to get them to change their mind. If you have a second...email them for me! Enjoy your day & get going on those houses. I told you they were talented! 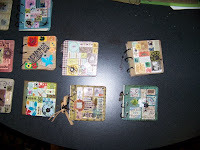 Here's a few photos from the "use your scraps" journal class. These beauties were all created by the arty gals in Mt. Pleasant SC last weekend. We don't have a photo of everyone's journal, so if anyone has more shots...send them my way...please. Thanks for sending these Debbie. You'll see that each is different & unique, even though they all started with the same chipboard covers & fragments. studio490 stamps were available for all to use...imagine that! Each person put their twist on the art. I LOVE THAT! Like I said...they were all masterpieces! Y'all did a great job! NOW...I hope you actually USE them! Time to pack more kits/boxes for the gals in Texas.